Do you have interactions between you and your partner where you feel your partner is mean and even downright cruel, or vice versa? Do you feel like your partner is disgusted by you, or maybe you’re disgusted by your partner? If so, you’re in dangerous relationship territory. 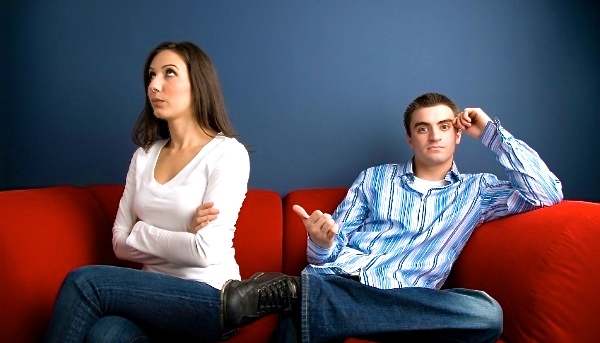 Contemptuous exchanges like those above are the most toxic behaviors for a relationship. Contempt shows a lack of respect for your partner, and makes it seem like you think you’re better than them. Putting your partner down and shows them that they seem worthless. Contempt comes in many forms – mockery, insults, name-calling, eye-rolling, sighs of disgust and even sarcasm. I meet a lot of people who are proud of their sarcastic sense of humor. But, because it is a form of contempt, be careful how you use it with your partner! Contempt comes in many forms – mockery, insults, name-calling, eye-rolling, sighs of disgust and even sarcasm. Disrespect doesn’t appear in a relationship overnight. It usually develops because you’ve allowed negative thoughts about your partner to simmer over a long time. You’re more likely to have such thoughts if you haven’t resolved your differences. For example, maybe you think your partner is doing things the wrong way, and that your ways are better. Your partner probably thinks they’re doing things the right way, and thus you have a stand-off without a resolution. As the conflict continues, you get more and more fed up, and simple disagreements can turn to contemptuous exchanges over time. Contempt is so toxic that research shows it is the biggest predictor of divorce. Contempt is so toxic that research shows it is the biggest predictor of divorce. It must be eliminated. And if you’re thinking that’s impossible, research shows that among happy couples, the frequency of this toxicity is almost zero. Happy couples convey admiration and respect for their partner, and it’s never too late for you to do that with your partner. 1. Consistently practice sharing fondness and admiration with your partner. To get you started, think about the following: What are your partner’s strengths? What are your top three favorite traits about them? Why did you fall in love with your partner in the first place? How can you compliment your partner today? You have to create a positive mindset about your partner and go a step further by expressing it to them. Be genuine and give yourself time for praise and admiration to seem more natural, especially if it hasn’t been a part of your relationship for a long time. 2. Complain (as opposed to attacking your partner’s character). Think before you speak. Instead of, “Why didn’t you clean the kitchen like you said you would? You’re so lazy, I have to do everything!” you can say, “You said you would clean the kitchen but you didn’t. I’m very upset by this.” You want to focus on the behavior without the character assault. As I frequently tell my clients, the goal is not necessarily to agree with your partner, but to understand where they are coming from. Does their perspective make sense? You can both be right, and that can go a long way toward repairing the damage of contempt. Although contempt is the most toxic relationship behavior, you do have the power to eliminate it. If it’s been present in your relationship for a long time, it may take some time to feel comfortable with the new positive and affirming behaviors. But if you want your relationship to have a fighting chance, contempt absolutely must be eliminated. 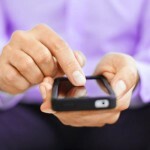 Dating in the Digital Age… are your communication skills keeping you from finding love?